Homage to a great Goan tradition. Growing up in the Goa we had no use for the alarm clock. Our wake-up call came at daybreak in the form of Ponk! Ponk!, the horn announcing the arrival of the neighborhood baker on his bicycle. 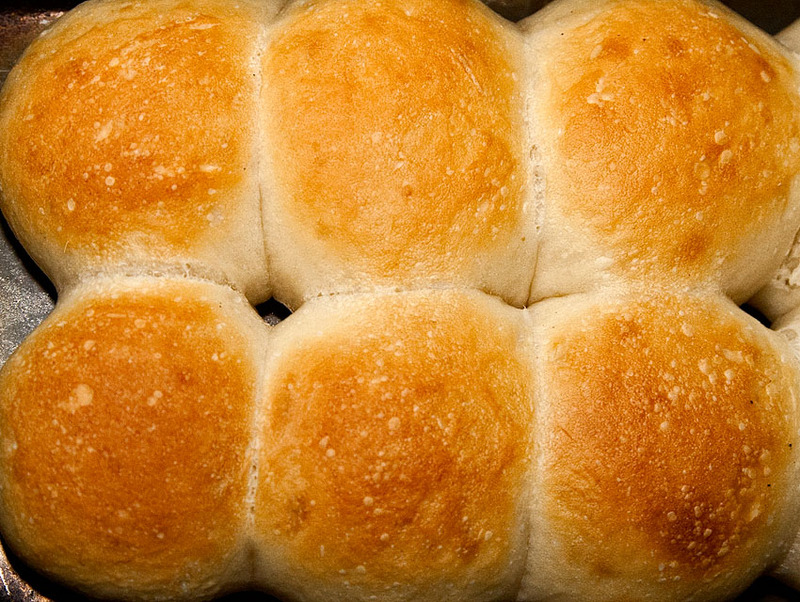 Piping hot bread delivered to our doorstep was something we took for granted. It was part of being Goan. 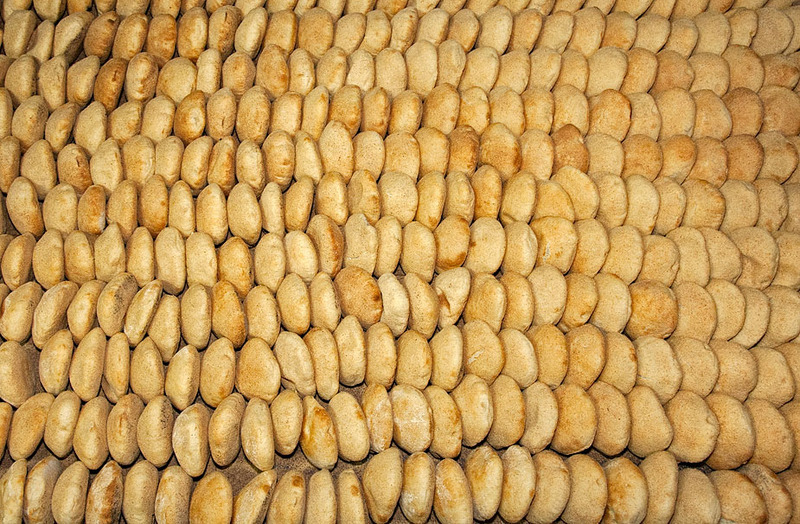 The tradition still continues, although the quality of bread has considerably diminished (to keep up with the Goan taste). 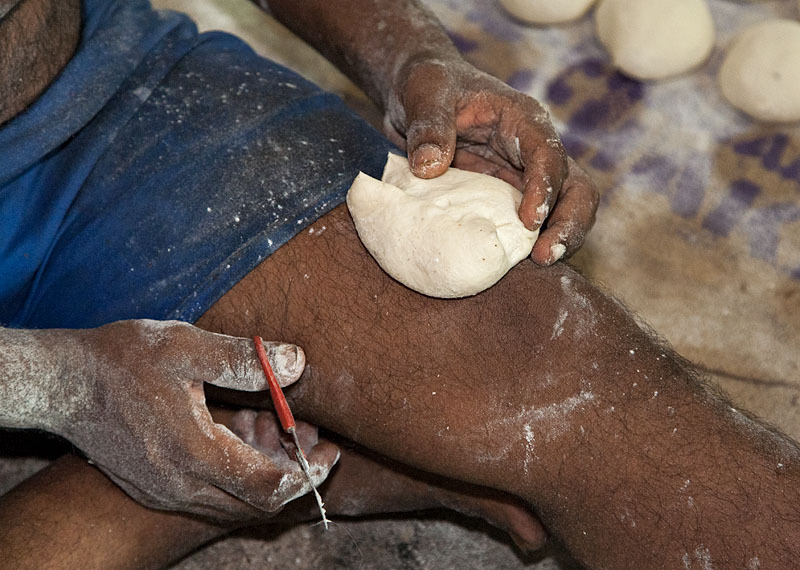 The art of breadmaking is a legacy vouchsafed Goans by the Portuguese. 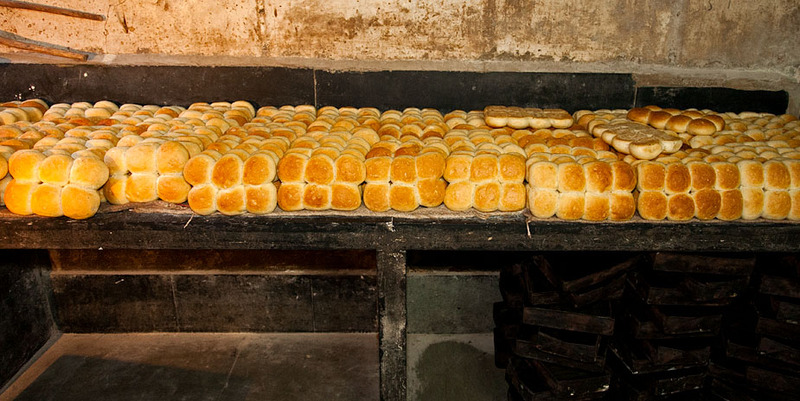 The Goan pão is (rather, was) a culinary masterpiece. 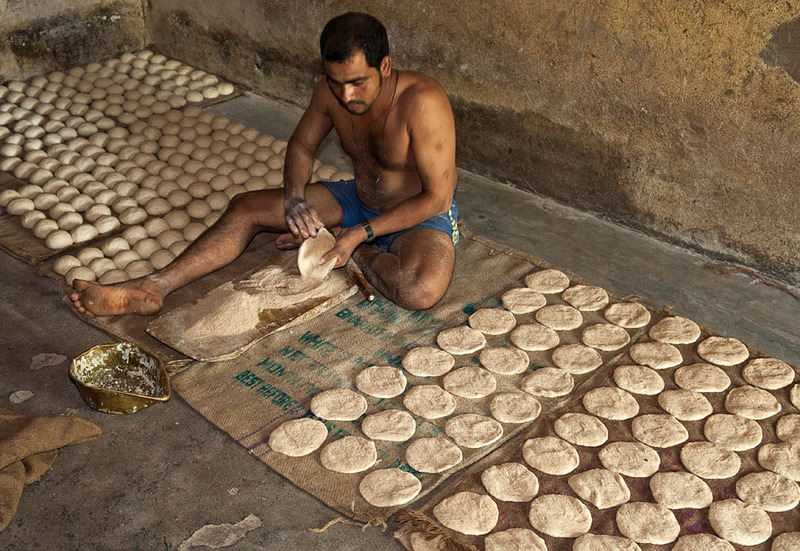 Pão is Portuguese for bread, and the Goan breadmaker is known locally as poder, an adaptation of the Portuguese padeiro. 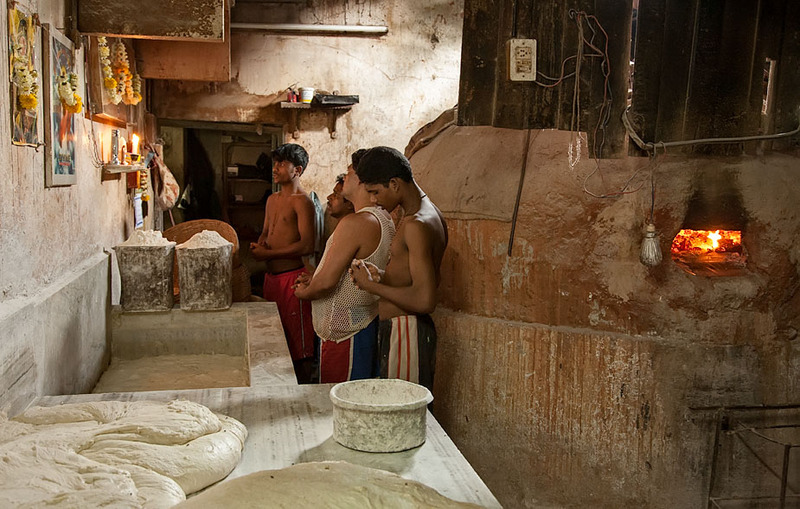 Breadmaking in Goa has for centuries been the province of the Catholic community. 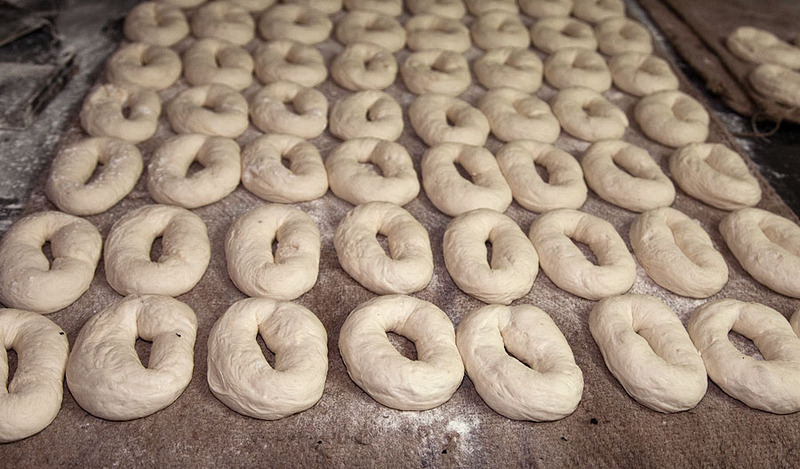 It is a family tradition handed down over generations with the entire clan involved in the operation. 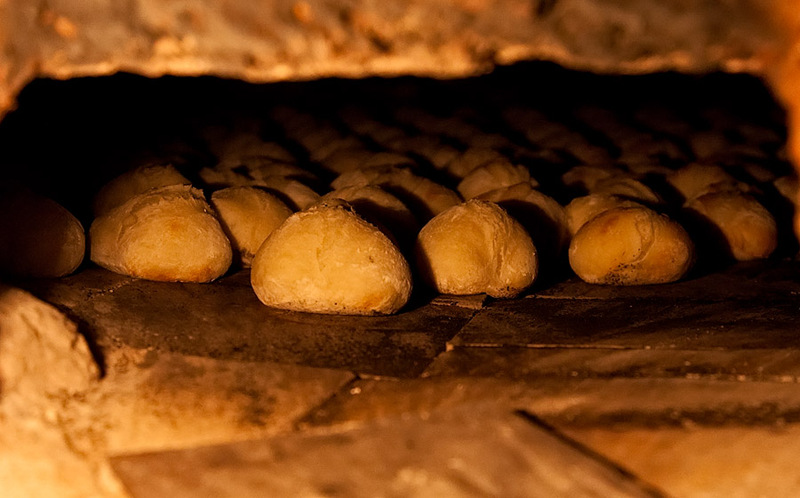 Every village has its own bakery or two where you may drop in unannounced, reel in your pão straight from the furnace, deposit money, and be on your way, all in a matter of a couple of minutes. 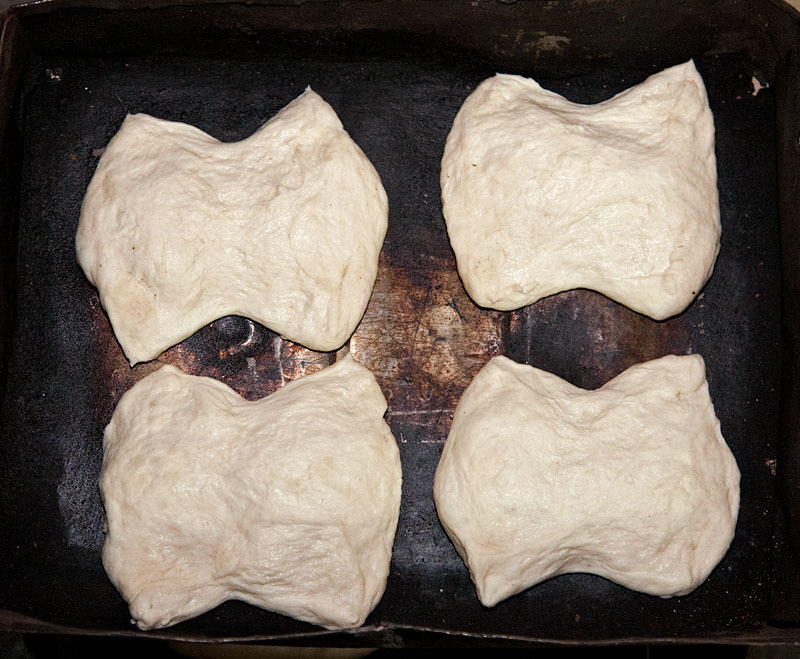 The three main varieties of Goan bread are the soft and chewy pão (cube), the crisp undo (round), and the poie (whole wheat pockets). 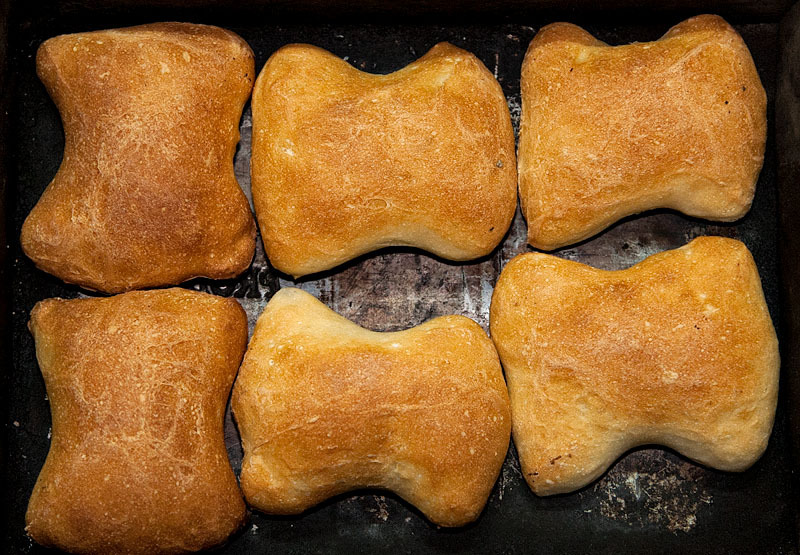 The undo is delicious dipped in hot tea, but it goes especially well with xacuti. 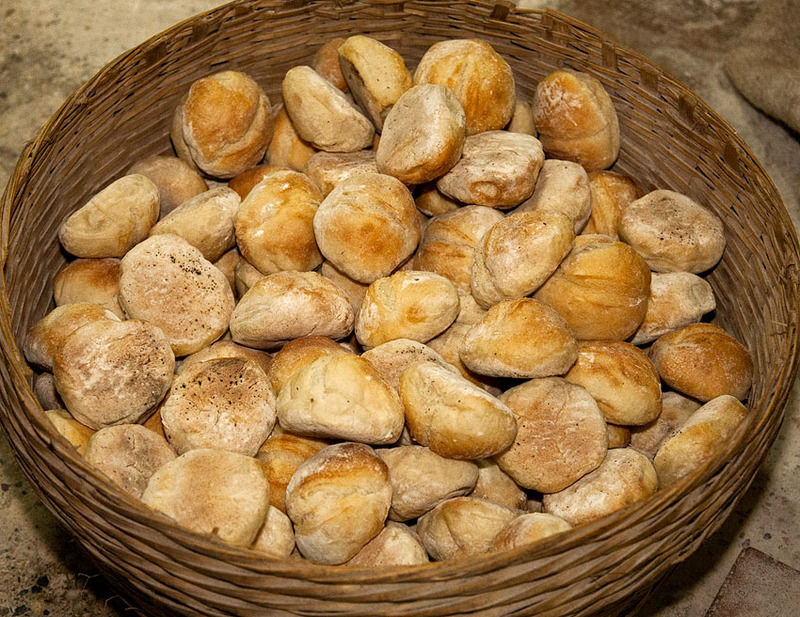 Another intriguing form is what is known as katricho pão (lit. 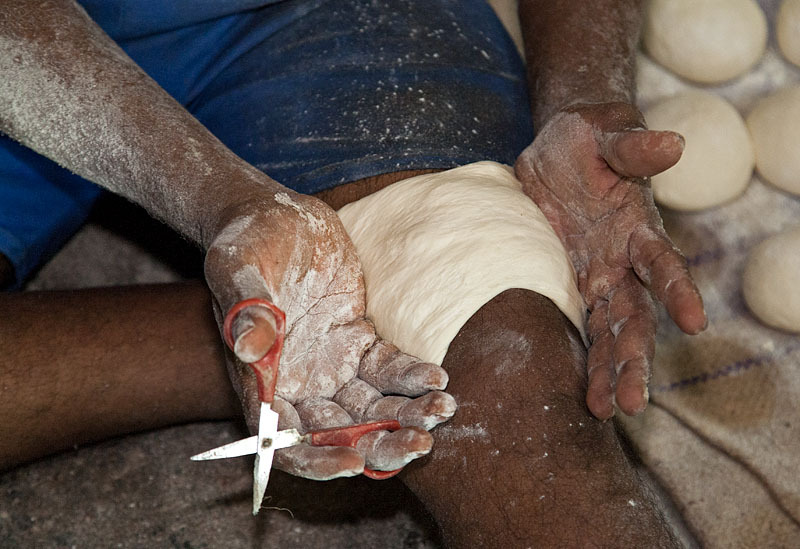 scissored bread) where the dough is shaped with scissors. Then there is the kaknam (lit. 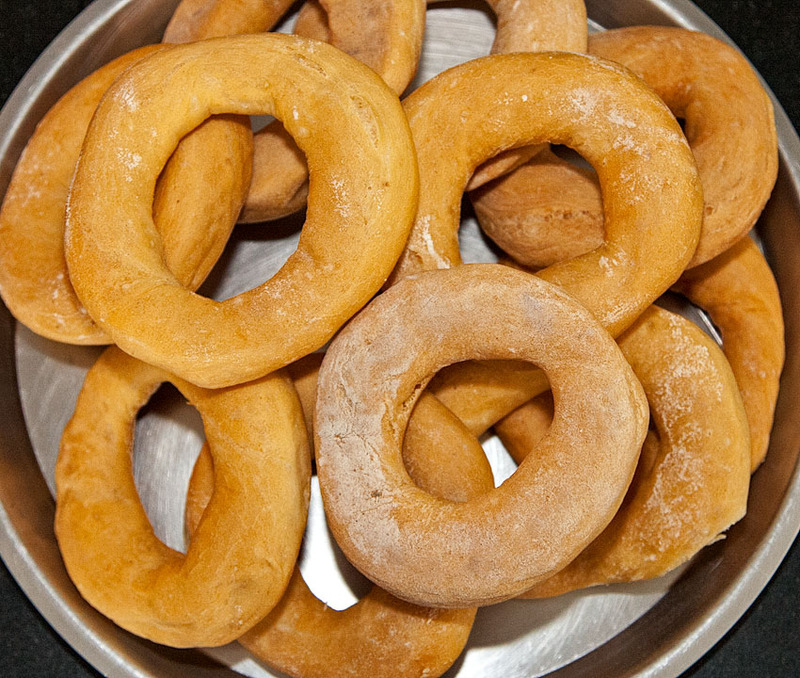 bangles), rings of crusty bread, so called because they tinkle like glass bangles when fresh out of the oven. The practice of leavening dough with toddy has been retired, alas. The occupation has come under stress in recent times with the changing social and economic patterns. 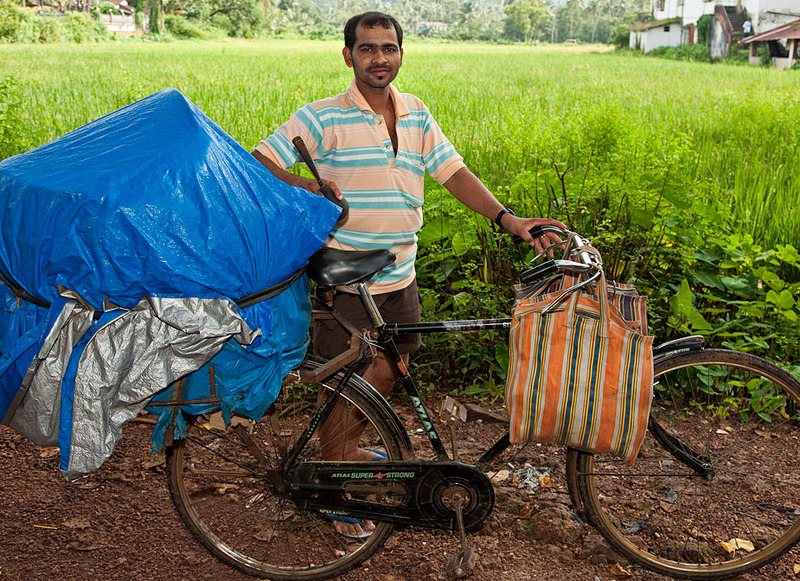 See Dr. Nandkumar Kamat‘s tribute to the Goan poder. In 2007, my wife Veena and I spent time at a couple of poders’, one in St Inez near Panjim and the other in Saligao. Following the photographs is a slideshow. Used to be a regular visitor to Goa between 2002 and 2004, used to work on projects in mines. 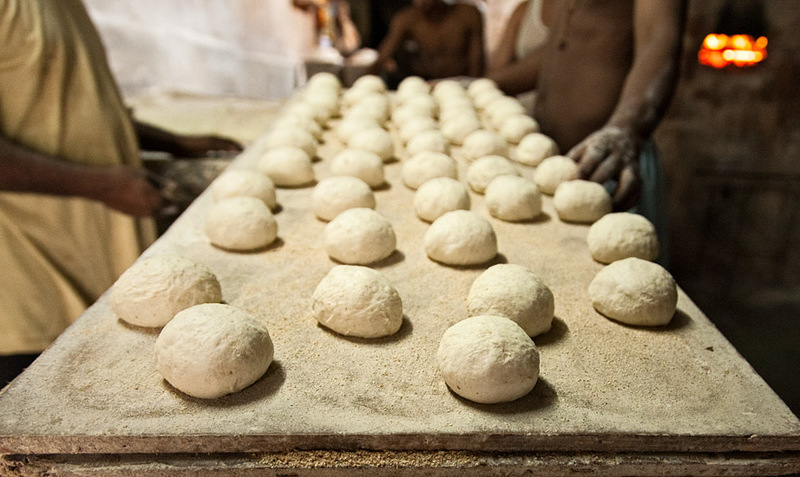 I developed a taste for Goan buns, the hard ones; good nutrition and goes well with mirchi and batata vada. sir I don’t know you and vice versa but I am a big time pao and undo.sad part is all outside bakers are making more money than amche goyche poder. 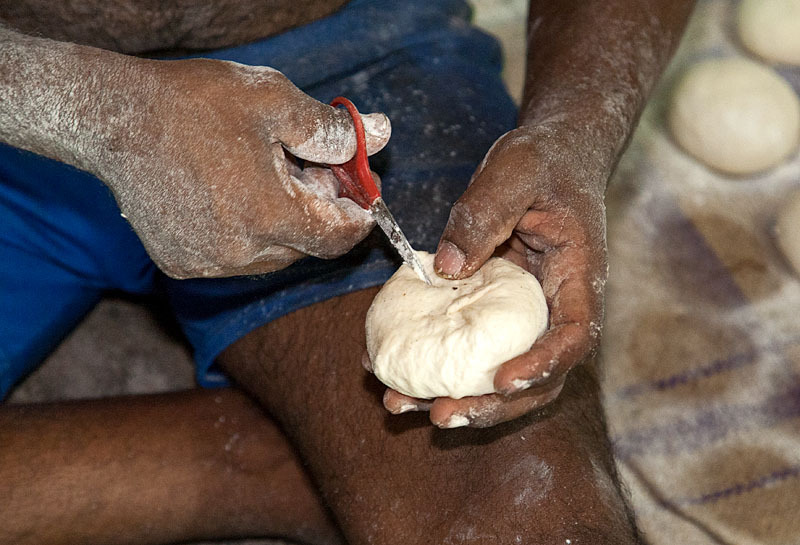 I am a die hard fan of Goan life and culture and the humble poie is the top of the list of my must have daily foods in Goa. Would appreciate if anyone can help me with the recipe and if possible to make these available in Bangalore. Mail me at mehrsha@yahoo.com or call me on +91-9035777220. Use a picture. A picture is worth a thousand words. 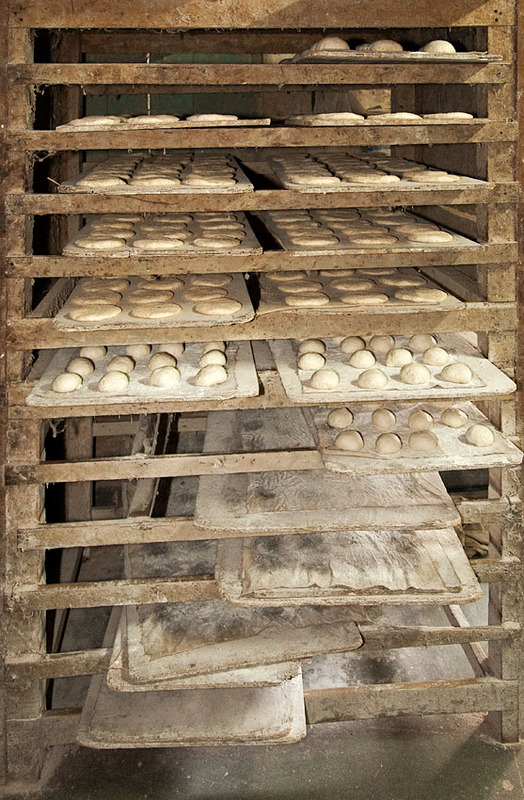 There are still a few small bakeries left in some of the smaller towns, I have seen one as recently as 2012. 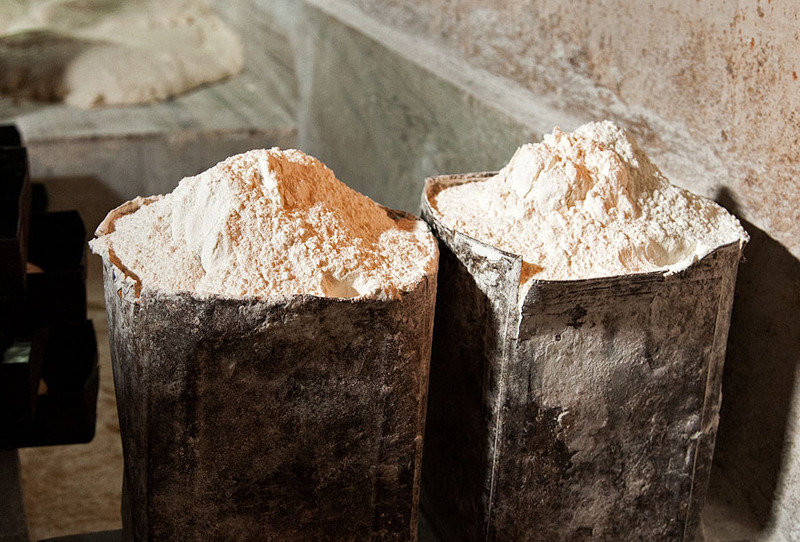 Maybe these loaves need to be re-invented as artisan breads. 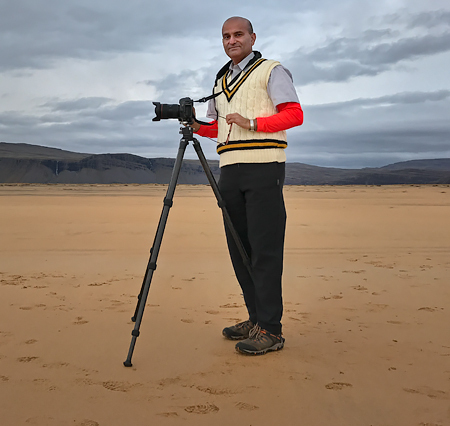 Rajan, you say that these pictures were taken in 2007. Ten years from today they will be used as evidence of a dead profession. Its a pity that their umbrella organization does not make efforts to upgrade the knowledge base and technical know how of its members. 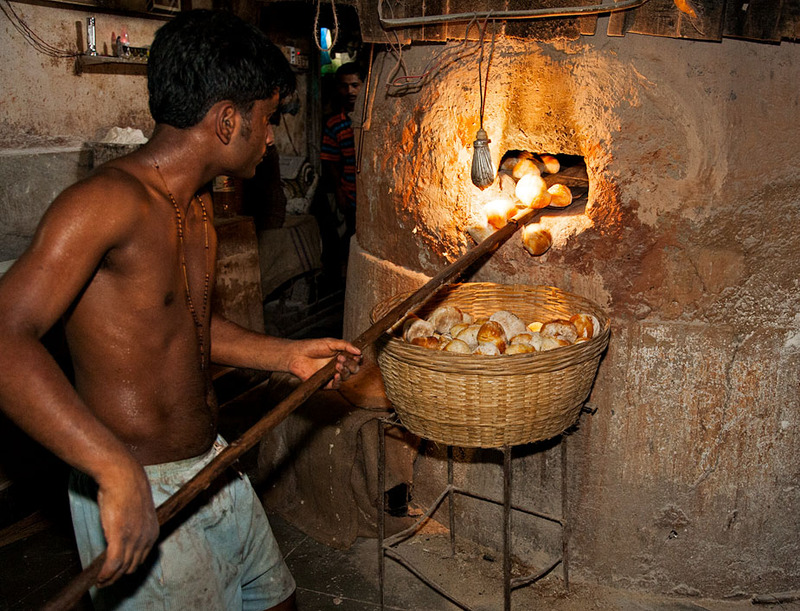 The All Goa Bakers Union comes alive only when they want an increase in the price of bread.